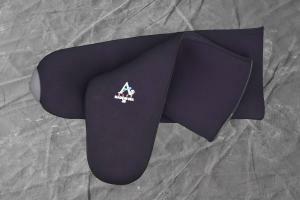 The ALPS™ AP Tapered Liner is gradually tapered from the anterior to the posterior to provide superior comfort. This liner is available in a pin and lock system or suction suspension. The AP Tapered Liner features our black high performance fabric with gel to assist in reducing bunching in the popliteal region.